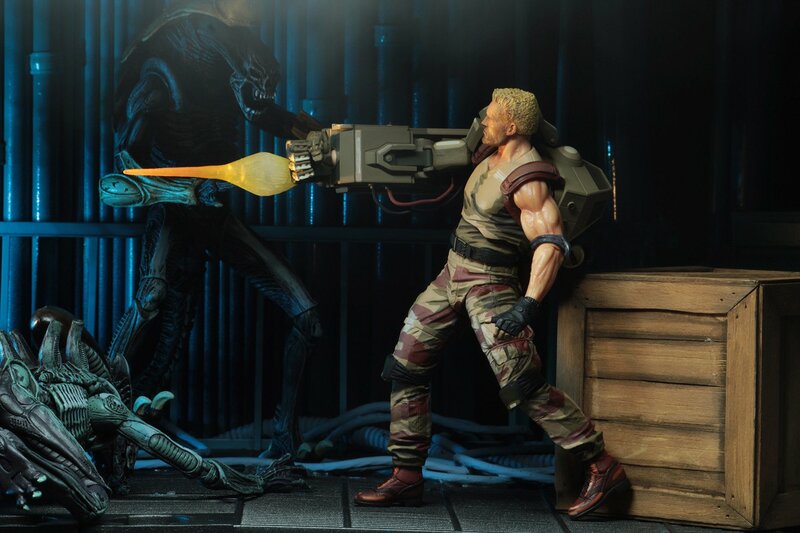 NECA’s Arcade AVP Line is Growing! 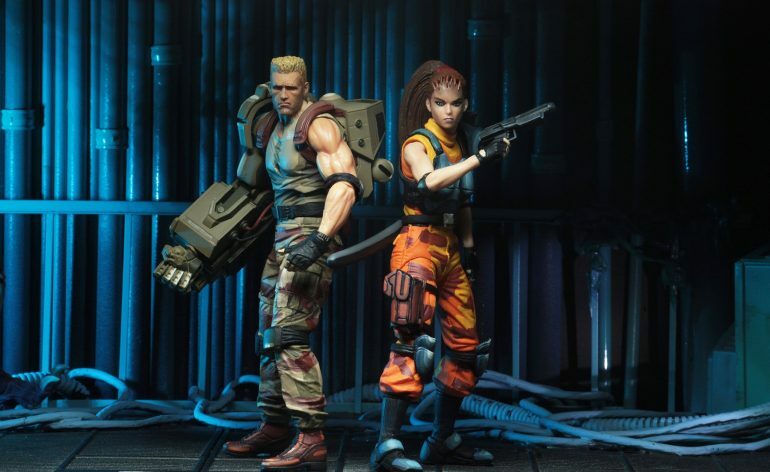 Just last night NECA revealed more images of the Arcade AVP Dutch and Linn figures that we first saw last year at SDCC. The gallery hasn’t been revealed yet but NECA has released a taster of the images from the gallery. They’ll also be showing the figures at Toy Fair next month. With the gallery being released soon I can see these figures being released before the summer of this year. I’m familiar with the game these figures are based on, though I haven’t played it myself. 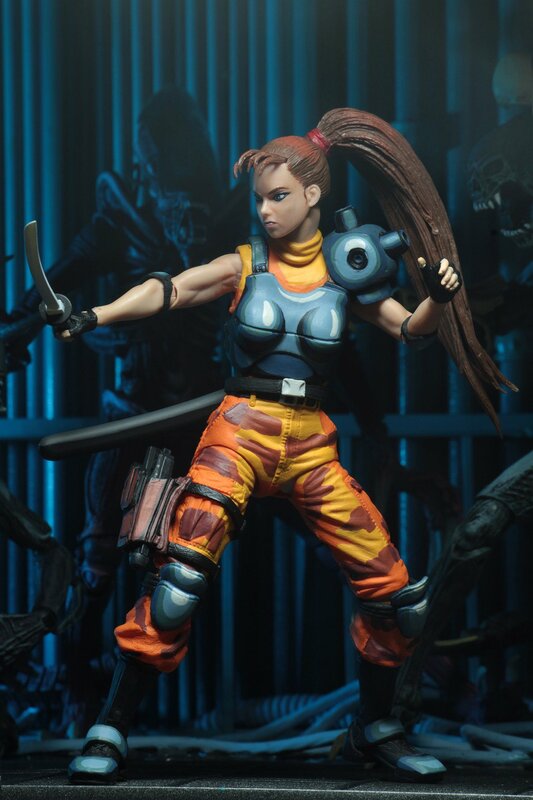 I really like how NECA have recreated the looks of the characters whilst adding their own spin to them. The Dutch does have a strong resemblance to Arnie and the sculpt of Linn looks incredibly realistic. The paint job on both figures are great and they will definitely stand out on your display as they really do pop. 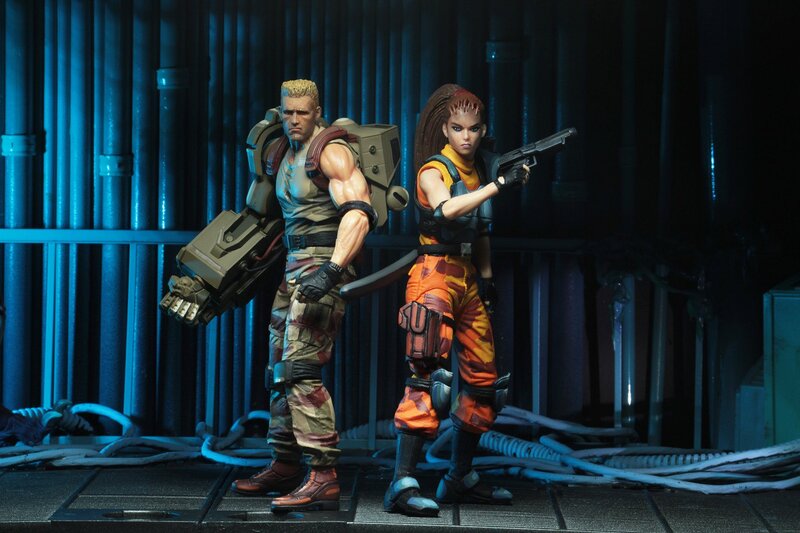 As you can see Dutch comes with a removable blast effect for his robotic arm and Linn comes with her sword and pistol. It’s unclear what other accessories they’ll come with if they have any ones to add. You can expect more information on these two to be released soon and they’ll be up for pre-order soon.